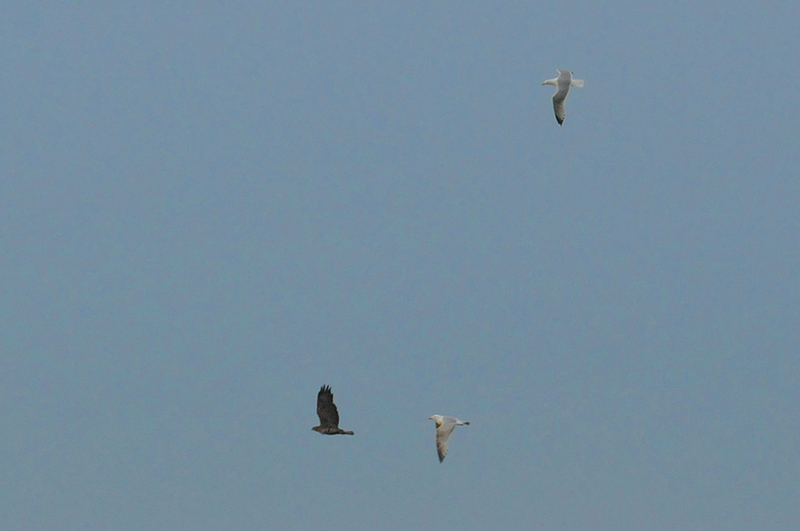 Spotted at the RSPB Loch Gruinart reserve on Islay, a Buzzard being chased by two Gulls. The Buzzard decided to fly away. This entry was posted in Cloudy Weather, New Post, Wildlife and tagged Buzzard, Gruinart, Gull, Islay by Armin Grewe. Bookmark the permalink.